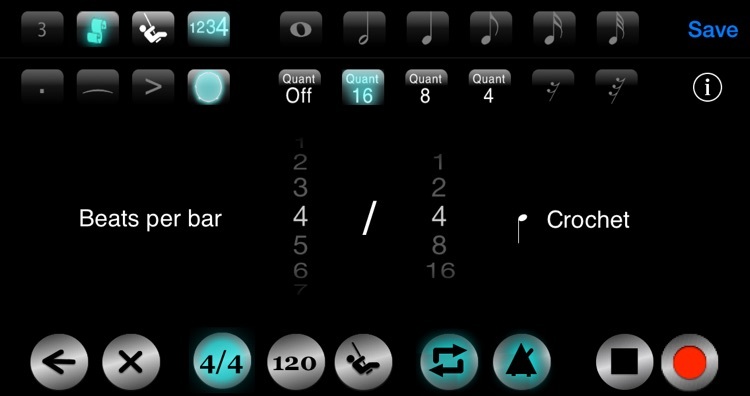 Dr Rhythm allows you to hear and see the rhythm of your taps or written music. Either tap in a rhythm in real time or enter sheet music or score via notation buttons and watch Dr Rhythm show you the currently playing note or rest and hear the rhythm at the same time. As your pattern is being played and you hear the rhythm, Dr Rhythm allows you to follow the current note or rest by highlighting it on the display so that you can see its contribution to the rhythm. Bar numbers show you where you are in the score. Change playback speed, time signatures, swing and playback instrument as the pattern plays. 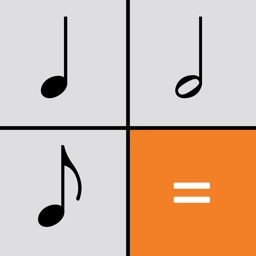 Playing with the app builds a solid sound memory for music notation patterns, increasing your sight reading abilities as you play and have fun! Use Dr Rhythm as a sophisticated music notation based metronome - you can program exactly the rhythmic sequence you wish. 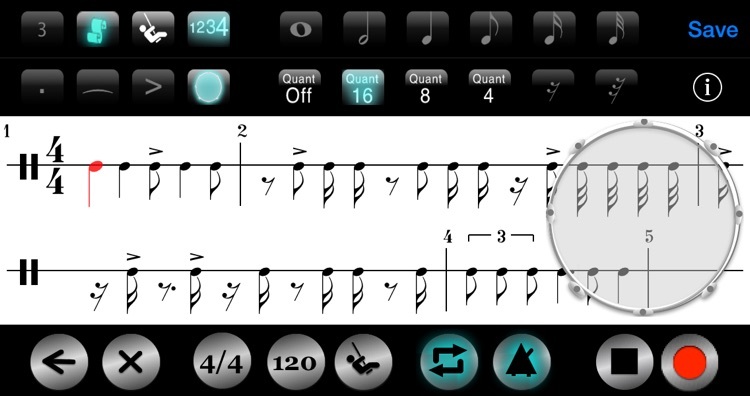 Drummers and percussionists can produce music notation based ‘click tracks’. 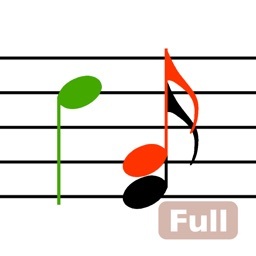 Come across a tricky rhythm in a bar as you’re reading some music? Let Dr Rhythm show you how it’s supposed to sound. Tap it in, listen and then play along! Hear and see how the rhythm of written sheet or score music should sound. Have fun building your own rhythmic patterns, this will rapidly increase your music sight reading skills. 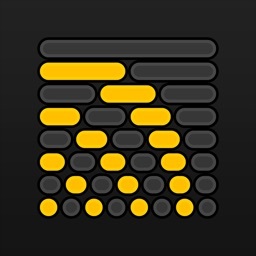 - Tap Mode - tap in a rhythm in real time and see the music. 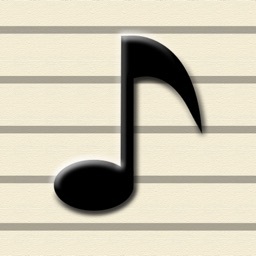 - Note Mode- Enter note and rest values from whole note (semibreve) to thirty-second note (demisemiquaver). 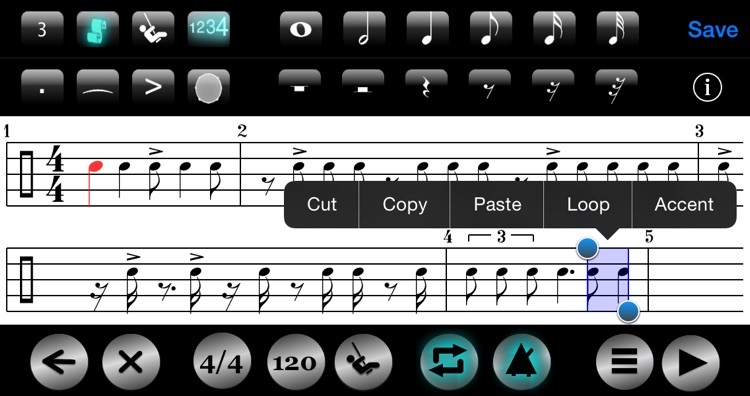 - Enter triplets, dotted, tied and accented notes. 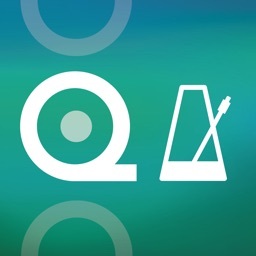 - Display music on a neutral stave/staff or a percussion line. - Music auto scrolls during playback. - Playback speed is from 0 to 299 Beats per Minute (BPM). - Swing Configuration - see how the notation is changed by adding configurable swing to the music. - Time Signatures supports beats per bar from 1 to 16 and beat values from 1 (whole note/semibreve) to 16 (thirty-second note/demisemiquaver). Every bar can have its own time signature if required. 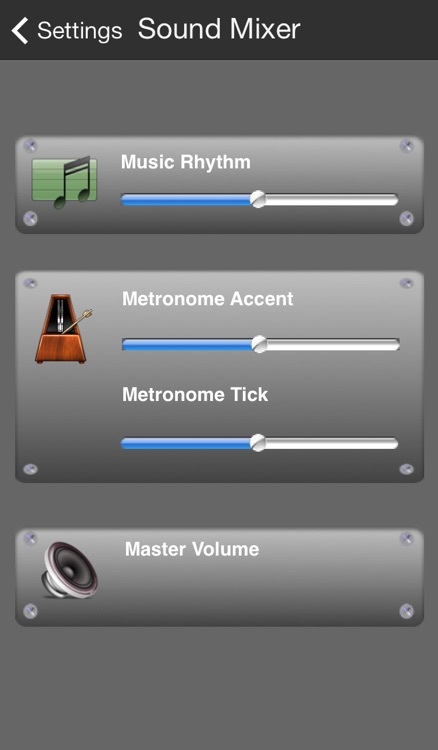 - Sound Picker – Choose from dozens of sounds to assign to the metronome and pattern playback. 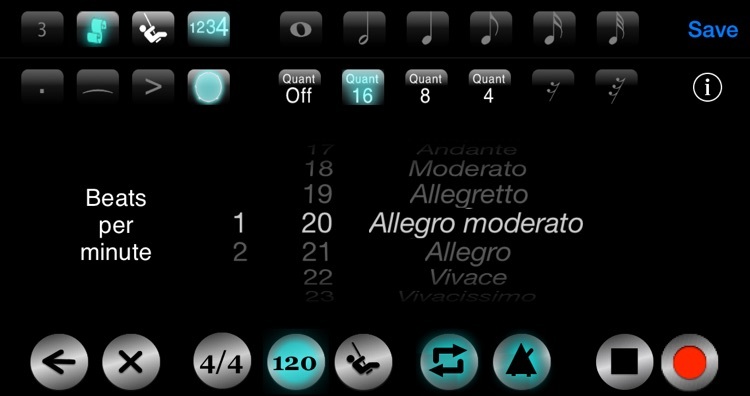 - Sound Mixer - Pattern, metronome ticks and accents and phone volume controls. - Play patterns through Apple TV via AirPlay! - Patterns can be saved for later playback. - Patterns are saved in MIDI file format for import into Sequencers and other music applications. - Share your patterns via Airdrop, iTunes file sharing, email, MMS or DROPBOX. - Hear how the rhythm of written sheet or score music should sound. Tap it in and listen! - Sophisticated music notation based metronome - you can program exactly the rhythmic sequence you wish. 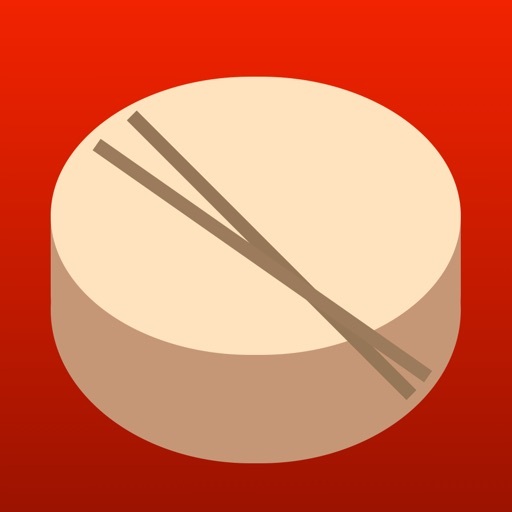 - Rhythm designer - percussionists can create new patterns while on the go. - Have fun building your own rhythmic patterns.